Baner beckons Lost The Plot back with their best! 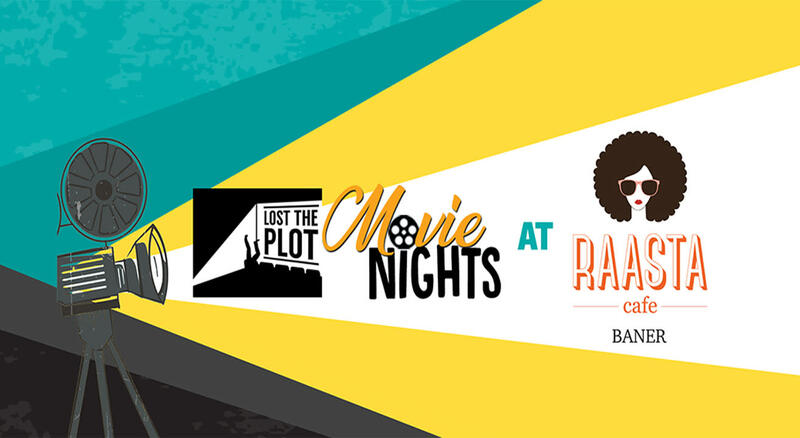 And Lost The Plot is screening these evergreen films to ring in the monsoon, with romance, friendship & fun in the air and the laid back vibes of Raasta Café, Baner for company. Now, wouldn’t that be loverly? Oh! And the good folks of Raasta Café have some special offers on food & beverages for film buffs! Ask your server when you arrive. Spend your Sunday revisiting a fair lady in her element. With eight Oscars under its belt including Best Picture, Best Actor & Best Director, George Cukor’s classic musical “My Fair Lady” features the lovely Audrey Hepburn at her most adorable. This on-screen adaptation of the eponymous stage musical, itself based on the 1913 play ‘Pygmalion’ by George Bernard Shaw, features some of her most quirky dialogues, a fantastically glamorous wardrobe and a cockney accent you won’t be forgetting anytime soon. renegade troupe joins German actress and undercover agent Bridget Von Hammersmark (Diane Kruger) on a mission to take down the leaders of The Third Reich... just in time to cross paths with Shosanna's own plans for vengeance! What better film to celebrate Lost The Plot’s return to the West side of the city than this genre-blending, fire- crackling, classic Tarantino thrill ride?